The top half of the women’s draw will kick off off proceedings on Monday with the likes of Serena Williams, Maria Sharapova, Agnieszka Radwanska and Petra Kvitova all in action. A first round preview for the match at the very top of the draw featuring Serena Williams and Camila Giorgi can be found HERE. This post covers two more matches from the frenetic first quarter of the draw. In an intriguing first round match-up, Anna Karolina Schmiedlova faces a potentially testing opener against the 18-year-old, Daria Kasatkina. In her first tournament of the year, Kasatkina produced a huge upset, defeating the defending champion in Auckland, Venus Williams, 6-7(4) 6-3 6-3. It was a superb win for the young Russian player who won the last five games of the match and kept her cool, playing the steadier tennis in the third set. However, she was unable to back up the win going out in the next round to Nao Hibino in a tight three setter, 5-7 6-2 5-7. Schmiedlova has had a wild start to the year; her two losses have both been comprehensive defeats to Varvara Lepchenko in Brisbane and Monica Puig in Sydney. Schmiedlova did manage a win in Sydney, overcoming some serious serving yips to get her baseline game going to beat Timea Bacsinszky in the first round. It is worth noting that the five sets that Schmiedlova has lost were 6-0, 6-1, 6-1, 6-1 and 6-2. Head-to-head record: Schmiedlova and Kasatkina have never played each other before on the WTA tour. Interesting stat: This will be Schmiedlova’s second Grand Slam as a seed and she is still seeking to reach the second week, surely one of her targets in 2016. Kasatkina has played just one Grand Slam main draw in her career at last year’s US Open and reached the third round with super wins over Daria Gavrilova and Ana Konjuh. Analysis: I think Schemidlova will be vulnerable in this match-up. Her form at the start of 2016 has been very unsteady and Kasatkina, while still very inexperienced, could well take advantage of that. In another exciting match-up from the first quarter, Belinda Bencic will take on the finalist in Shenzhen, Alison Riske. When I glanced over the rankings, it was a surprise to see Riske all the way down at number 97 in the world. 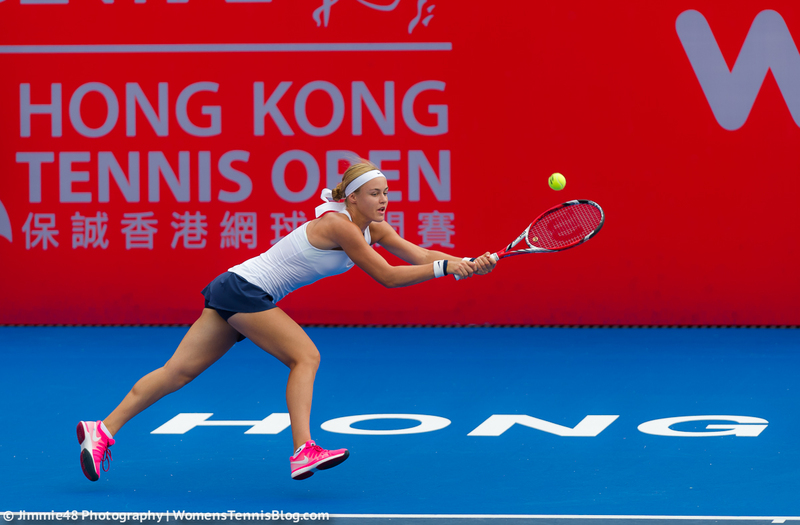 However, the American player made a bright start to 2016, propelling herself back inside the world’s top 75 with victories in Shenzhen over Annika Beck, Su-Wei Hsieh, Anett Kontaveit and Timea Babos. She came from a set down in her first two matches, including a 3-6 0-4 deficit against Hsieh. 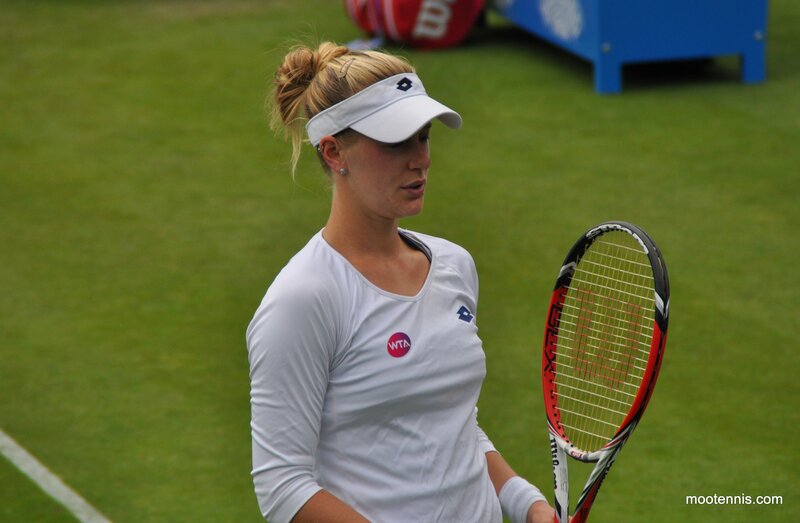 I’ve always enjoyed watching Riske play and she has a great attitude on court, even if things aren’t going to plan. Bencic’s start to 2016 has been respectable; she went 1-1 in Brisbane, blasting through Sara Errani’s serve in a first round win, but unable to contend with the raw power of Samantha Crawford in the second round. In Sydney, Bencic didn’t play her best but kept picking up wins. In the first round, she just about held on against the wildly erratic, yet very dangerous, Mirjana Lucic-Baroni. She showed her mental toughness with an impressive 6-0 2-6 6-4 victory over Ekaterina Makarova in the quarter-finals. Her run came to an end in the semi-finals against Monica Puig where she was forced to retire with a gastrointestinal illness. There was a cute exchange at the net where you could see Belinda was gutted to pull out. Head-to-head record: In their only previous match, Riske beat Bencic in the final of Tianjin to claim her first WTA title back in 2014, 6-3 6-4. Analysis: This won’t be an easy match for BB… I wonder if the illness she picked up in Sydney could have a part to play as these things can take quite a while to get over. Riske is a very competent player and arrives in good form and with a previous win over Bencic. I think it will be close, but I like the way that Bencic has been toughing out wins and i’d fancy the Swiss player to do the same here. BB knew couldn’t defeat Puig so she retired to giver herself a rest before AO2016. I bet she is ready for AO. I think this is Bencic’s year at the Slams. I see her making deep runs in all of them. I think shes too smart a player to lose to Riske, who has some glaring weaknesses as a player. But I could be wrong! A pusher likes BB need a good draw prevail. I don’t think she can win any slam this year. Bencic isnt just a ‘pusher’. Her game and mindset are to be aggressive and proactive. She isnt a Wozniacki or a Kerber. Some pushers are very smart too but they like to push. BB is one of them. I could confirm that after watching her matches in Sydney. Her playing style is very similar to Wozniacki. Their major weapons are able to change the ball directions and also push back to the corners. Thoughts on possible Bencic v Kuznetsova R3?! Could be a really good match. Id give the edge to Kuznetsova purely based on experience and form shown so far this year… but Bencic has it in her to win. If she gets everything together she could be the surprise contender from Serena’s section. This match can go either way if Kuznetsova serves like what she did in Sydney. Anna Schmiedlova v Daria Kasatkina – both players are playing similar styles. AKS usually plays well in the middle of the season. I am not sure about her form but she can win this match. Daria Kasatkina is promising but I do not assess her form because she had beaten Venus in Auckland. Based on her records, she lost to players who play similar styles like her.